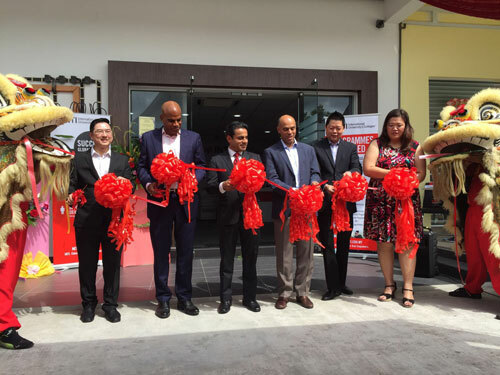 (L-R) Lau Hock Kiong, Timothy Johnson, Rohit Sharma, Amit Sevak, Daniel Koh and Jessica Lam officiating INTI’s new councelling centre in Johor Bharu. Both centres serve as a hub for parents and students seeking advice and information on tertiary education pathways with comprehensive details on registration for studies at INTI’s campuses across Malaysia, application for accommodation and available scholarships or financial aid. They also serve as regional student recruitment offices for INTI, easing the burden of parents and students as they no longer have to travel long distances to INTI’s campuses. “Our centres serve as a one-stop location for students looking to discover their areas of interest and find a degree that suits their passion. From business to engineering and even fashion design, our campuses offer a variety of programmes that cater to the needs of students with specific interest. Our counsellors are experienced and well trained to share all the necessary information parents and students need in understanding how INTI provides an education which encompasses the INTI Edge which are international exposure, innovative learning and individual development,” share Rohit Sharma, Chief Executive Officer of INTI International University & Colleges. Officiating the Ipoh education counselling centre with Sharma were Daniel Koh, INTI’s Senior Vice President, National Sales; Timothy Johnson, INTI’s Senior Vice President, Marketing, Product & Partnerships; and Felicia Chua, Assistant Vice President, Admissions & Counselling, INTI International College Subang in the presence of principals and counsellors from Ipoh secondary schools and business proprietors, who were invited guests. The Johor Bahru education counselling centre was also officiated by the senior team from INTI along with Amit Sevak, Chief Executive Officer of Laureate South Asia Region, Jessica Lam Pui Ling, Director of Admissions and Counselling of INTI International University, Nilai and Lau Hock Kiong, Manager of INTI Education Counselling Centre Johor Bahru. 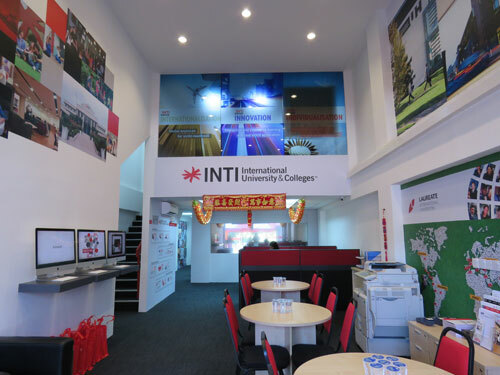 INTI has grown in leaps and bounds from a single building in 1986 to 6 campuses in Putra Nilai, Kuala Lumpur, Subang Jaya, Penang and Kota Kinabalu, and counselling centres in Johor Bahru, Kuantan and Melaka. With a student population of over 16,000, INTI offers a wide-variety of courses that incorporate international exposure to help students expand their global perspectives; innovative and collaborative processes to help them think critically, connect and solve problems; and individual development to help them realise their aspirations in a world of constant change. INTI champions the responsibility to align graduate outcomes with employer expectations. By providing a curriculum based on market needs and demands, with the added benefit of employer projects, leadership talks and internships, students are empowered to think beyond the classroom. They are coached to develop specific 21st century skills that employers seek – known at INTI as the 4 C’s: communication, collaboration, critical thinking and creativity. These crucial skills provide them an extra edge over their peers when they enter the global workforce in the future.